It only makes sense that in today's economy, purchasing another putter when the one currently in the bag isn't technically broken has to be considered a luxury that many golfers can't afford. Or maybe they can, thanks to Rife. With its 460 Mid Blade and 400 Mid Mallet models, the company is giving consumers a chance to buy a new flatstick without breaking the bank, as each of these is priced at $99.80. They may be inexpensive, but they're not cheap. 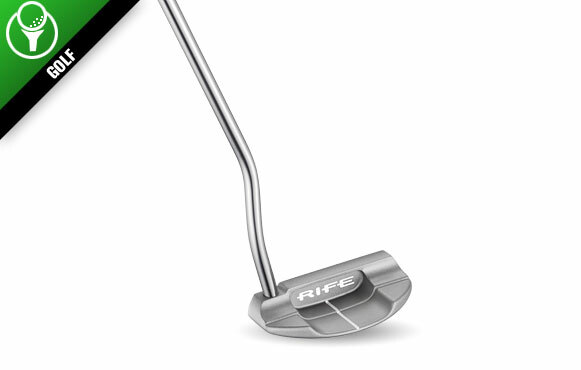 Rife putters are considered top of the line, meaning you'll be able to attack the greens while saving plenty of green, too.